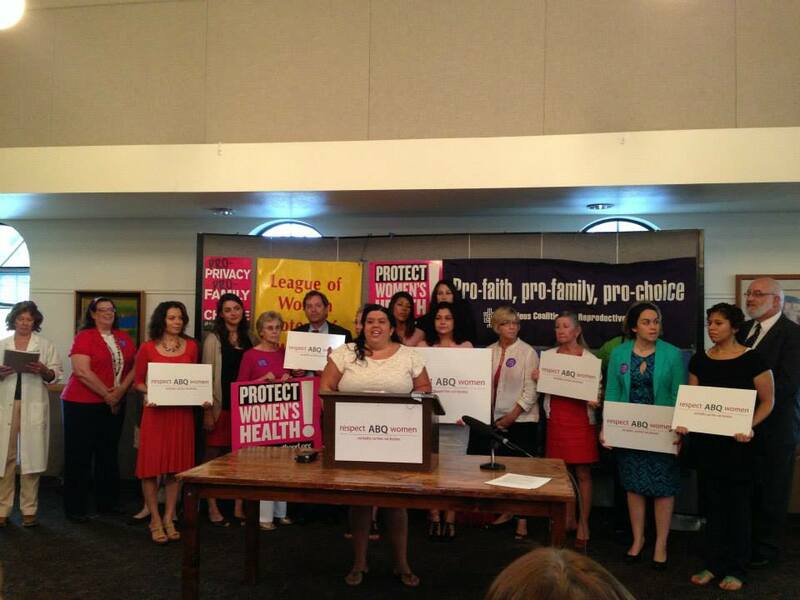 On Thursday July 31, 2013, an alliance of community organizations and women’s advocacy groups held a press conference at La Mesa Presbyterian Church, 7401 Copper NE to announce the launch of Respect ABQ Women. 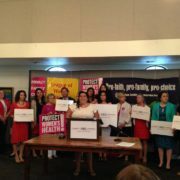 This campaign’s aim is to defeat anti-abortion ballot measure that will appear on the Albuquerque ballot this fall. The Respect ABQ Women campaign understands this ballot measure is part of a national effort aimed at making it impossible for New Mexico women, and women across the country, to access safe and legal abortions. Press conference speakers included local women’s rights advocates and community faith leaders. Paid For By Respect ABQ Women, Joan Lamunyon Sanford, Chair. Printed by Curtis Boyd MD PC, 522 Lomas Blvd NE Albuquerque NM 87102.